The Woman’s Health Pavilion strives to make the process of choosing an OB-GYN practice easy. While this area of your healthcare involves highly personal concerns and intimate areas of your body, our team of women’s specialists will put you at ease by treating you with discretion and genuine consideration. In addition to our people, we are the OB-GYN practice of choice for so many women who live in Queens and on Long Island, NY because of the quality and convenience we offer. Read on and discover all that makes The Woman’s Health Pavilion an excellent choice for your gynecologic and reproductive healthcare needs. To meet with one of our physicians or other experienced practitioners, request an appointment. We serve women from communities throughout Long Island including Brooklyn, Queens, Garden City, and Bethpage from multiple conveniently located offices. When it comes to your medical care, choosing a rigorously trained and experienced provider is a must. Our providers have trained at top medical schools, have years of experience in this specialized area of healthcare, and are genuine, down-to-earth individuals who truly care about the women they serve. Our support staff is made up of people we would trust to take care of our own families. Each member is specially trained to treat all patients with discretion, courtesy, and respect. We cultivate their talents through regular training sessions in customer service, problem solving, confidentiality, and other fundamentals of patient care. Our aim is to provide a first-class experience for every patient at every visit. We even have bilingual providers who are fluent in both English and Spanish. Early and late: We offer appointments most mornings beginning at 7:30 am and our last evening appointments at 8 pm. Weekends: We see patients on Saturdays in all of our offices, and even offer Sunday morning appointments in Howard Beach. ASAP: We offer same-day or next-day appointments for urgent conditions. We can get you in to see a provider when it works for you, whether it’s this month, this week, or today. Our clean, comfortable offices in Forest Hills, Howard Beach, Westbury, and Levittown are strategically located to conveniently serve women throughout Queens and Nassau; many patients come from Brooklyn and Suffolk as well. For added convenience, each office includes an on-site lab, pathologist, and 4-D ultrasound technology. Find out more about our office locations. At The Woman’s Health Pavilion, we perform open surgery only when it is absolutely necessary. Instead, we use advanced minimally invasive techniques to perform many gynecologic surgery procedures, including hysterectomy and fibroid surgery, whenever possible. These advanced techniques benefit patients with reduced recovery times, minimal scarring, and fewer complications. 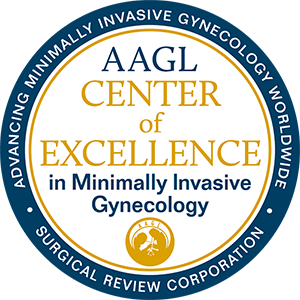 Dr. Andre Saad, our medical director, has been recognized nationally for excellence in minimally invasive surgery and has helped our practice earn the distinction of Center of Excellence in Minimally Invasive Gynecology. For women and couples celebrating a pregnancy, we are pleased to offer maternity services at the Katz Women’s Hospital (formerly Long Island Jewish Medical Center) of the Northwell Health System. Constructed in 2012, this premier health facility for women is the setting for nearly 10,000 births every year. 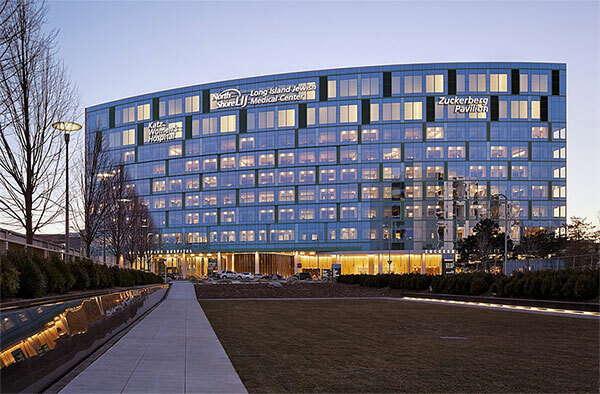 The Woman’s Health Pavilion is proud to be one of the leading groups offering maternity care at Katz Women’s Hospital. We chose this facility because it offers our patients and their families the highest level of comfort, support, and care. As a practice, we have won Best OBGYN/Infertility on Long Island in the Bethpage Best of Long Island competition for 6 consecutive years: 2013, 2014, 2015, 2016, 2017, and 2018. This prestigious awards competition spans both Nassau and Suffolk counties, and is decided on by members of the community. There’s no better indication of our quality and care than the unbiased reviews from the women we’ve served.